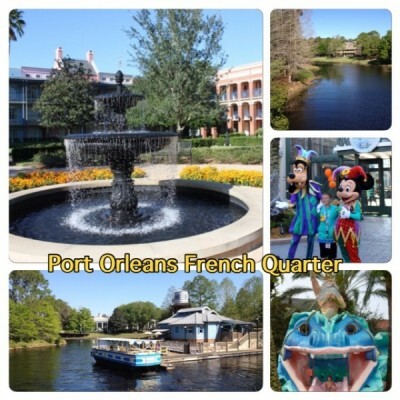 Port Orleans French Quarter is one of my favorite Disney Resorts. 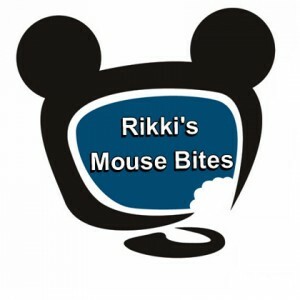 While I have stayed at it’s sister property Port Orleans Riverside I love the feel of the French Quarter best. The seven colorful buildings with wrought-iron filigree, shuttered windows, and old-fashioned iron lampposts are nestled around lovely courtyards. While it is a sanitized Disney version of New Orleans one cannot help but fall in love with its absolute gorgeous landscaping. The setting along Bonnet Creek, perfect with magnolia trees and over-grown vines, beckons for a stroll at sunset. In the morning the walkway along the creek is perfect for jogging and running. The scenery changes as you reach the Riverside property. The plantation-style mansions inspired by the architecture found in Mississippi River communities in Louisiana is followed by the more rustic wooden buildings of the “bayou” area. But back to the French Quarter! The resort has 1,008 very tastefully decorated rooms. Mardi Gras colors and theme prevails but is not overbearing or tacky. Rooms come with two queen beds, a mini-fridge, and a coffee maker in addition to a table, 2 chairs and a dresser. I love the fact that there is a dressing area with two separate sinks which helps when trying to get the whole family ready to get going in the morning. The best rooms at Port Orleans French Quarters are river-view rooms directly facing the river. Be clear when booking that you want to be directly facing the river and not just have a ‘view’ of the water. If you are visiting with children I recommend river-view rooms in building 2 and 5 as they are nearest to the swimming pool. Kids will love the Doubloon Pool at Port Orleans French Quarter complete with Neptune riding a sea serpent water slide. The pool area has a playground and a hot tub. Guests can also use the Riverside Ol’ Man Island pool. If you want to relax minus the kids I suggest the quiet pool next the the Riverside Magnolia Terrace mansion. 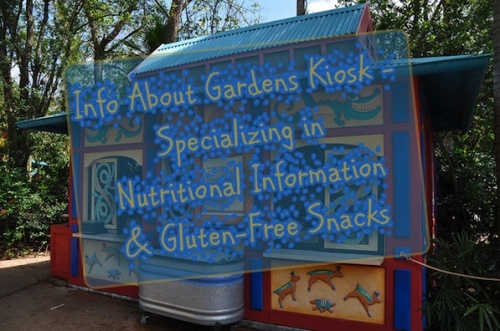 The Sassagoula Float Works and Food Factory food court at Port Orleans French Quarter is rather small and so are the offerings. While it is sufficient for breakfast the resort really could use a nice full-service restaurant. The closest full-service restaurant is at Boatwrights Dining Hall at Riverside. The restaurants at Downtown Disney can be reached by bus or boat service. I love the boat ride; it is relaxing but not ideal if you are in a hurry. Boatwrights Dining Hall is a fifteen minute walk away and offers Cajun inspired fair such as Andouille-crusted catfish and jambalaya with chicken and andouille sausage. Since it is the only full-service restaurant serving both Port Orleans French Quarter and Riverside it can get busy at times. Transportation to the parks is provided by the Disney bus system. Walking time to the bus stop from the most remote Port Orleans French Quarter rooms can be up 10 minutes. Furthermore Port Orleans French Quarter and Riverside share a bus route and while you will get a seat boarding at Port Orleans French Quarter, the bus will make several stops at Riverside and it may take up to 40 minutes to reach the parks. I personally never minded the bus transportation even when my son was young, but for families with children having a car is definitively a plus when staying at Port Orleans. My favorite time of the year would be Mardi Gras. The activities at Port Orleans French Quarter are simply amazing. Mickey, Minnie and Goofy, in Mardi Gras costumes, are roaming the lobby and the courtyard just outside registration and Princess Tiana with “alligator” are available for meet and greets. There is a small Mardi Gras parade organized by the staff on golf carts and the resort offered free Mardi Gras craft activities for kids when I stayed there. 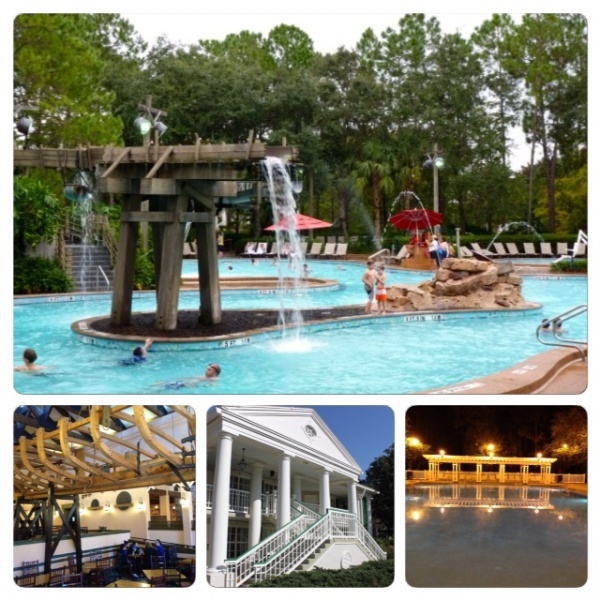 Port Orleans is a much beloved resort and room rates at Port Orleans French Quarter average at $219.33 plus tax. The best part is that Mardi Gras is just around the corner. What’s your favorite part about staying at Port Orleans French Quarter? Hurricanes Happen in Walt Disney World Too!